This is exactly the same as the CycleOps Silencer direct-drive turbo trainer shown here except that it does not include the cassette. This reduces the price by around £100. All prices shown here are for the CycleOps Silencer without the cassette. 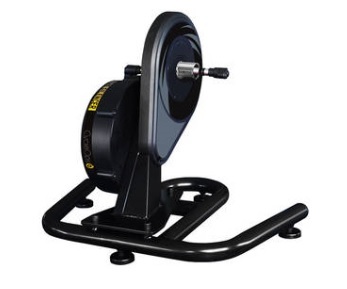 For this trainer with the cassette included click here. The Silencer is so named because has been designed to be very quiet. The silencer uses a magnetic resistance brake that has 5 levels of handlebar controlled resistance.